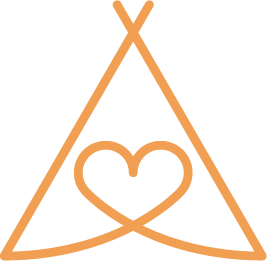 Love Tipis are experienced in event tipi hire in many Surrey locations including Reigate, Redhill, Surbiton, Croydon, Guildford, Kingston, Richmond, Farnham and Woking. We have a good knowledge of the county and its venues for weddings and other types of event. Our tipis can be joined together to accommodate large or small groups and we can provide furniture, fire, bars and whatever else your event requires. The tipis come in a range of themed decors to suit all occasions, which offer a blank canvas to be personalised. Constructed from natural materials they look great whether elaborately decorated, or left plain and simple. Contact us and let us know about your event and how we can help, or use our quote generator tool to get cost estimates.